Solid Edge in a Next Generation full 3D CAD system that uses the Siemens proprietary Synchronous Technology. Solid Edge has built-in finite element analysis tools for design engineers to digitally validate part and assembly designs within the Solid Edge environment, data management tools to manage engineering data and processes, technical publishing tools and integrated manufacturing tools. With Solid Edge you can create finite element models for solid and sheet metal structures automatically, as well as make adjustments to refine the mesh to improve accuracy of the results. For assemblies, Solid Edge Simulation offers automatic contact detection and sets up realistic component interaction, including iterative linear and glued contact. 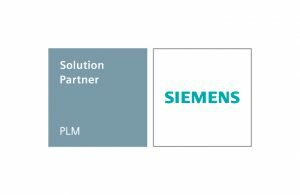 Network with peers, Siemens Solid Edge engineers and highly skilled Solid Edge specialist partners. The even begins at 9:30 am with registration and ends at 5:00 pm. Join us for a technology filled day! secure cloud-based project collaboration are also included. Mechanical design: Next generation design – today. Simulation: Complex design validation just got easier. Manufacturing: Bring your ideas to life, in full color. NC programming to high-speed and multi-axis machining. Technical publications: Clear communication. Clearly better.